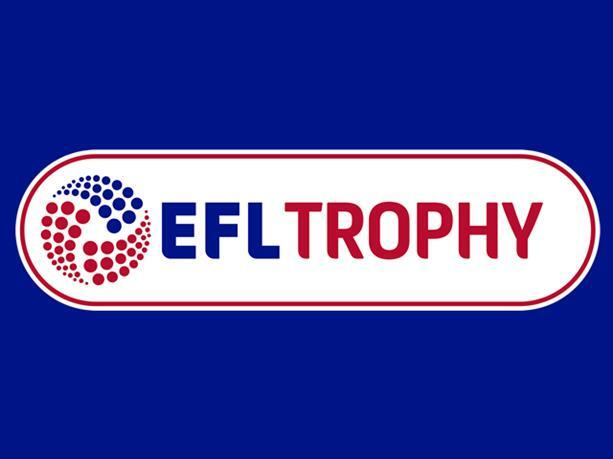 There can rarely have been a more farcical or badly-received football competition draw than this morning’s for the English Football League Trophy. Its greatest success seems to be in hardening the already strong campaign by fans to boycott the revamped competition. Disquiet had already been expressed over the decision to invite Premier League academy teams into the competition, one that has been valued by lower league clubs as something they have a real chance of winning. This morning’s draw plunged the competition further into the realms of the ridiculous. Unlike pretty much every competition draw these days, it wasn’t staged in public, just tweeted from the EFL account. Transparent stuff. And it wasn’t until half an hour before the draw that confirmation of which Premier League B teams had accepted was made. Only 10 accepted, including champions Leicester City and Chelsea. And yet the Premier League had described the changes as “an important part of a range of developments that both we and the EFL believe will help young, talented players progress”. So important that half their members rejected the invitation. Could embarrassment about this have been behind the coyness over releasing team names? As the draw unfolded, it rapidly became clear that the regionalisation that was supposed to reduce the burden of travel was, shall we say, a little skewed. AFC Wimbledon, for example, will make the short trip to near neighbours Plymouth Argyle. Cambridge United and Shrewsbury will need to travel 200 miles to face Middlesborough’s academy side. There was more. The draw finished with no confirmation of when the games would be played, or at what venues. And nothing more from the organisers. And plenty questioned whether the EFL was misrepresenting the fixtures by describing the Premier League teams as Leicester City, Chelsea, etc, rather than Leicester B and Chelsea B. Details of dates and venues eventually began to dribble out – sparking more controversy. West Ham would not be playing any of their fixtures at their home ground. Against League 3 campaign manager James Cave, said: “Serious concern has also been raised on the first team stadium exemption of West Ham, who according to BBC Local Radio will not play any games at The Olympic Stadium due to issues with their tenancy agreement. It then became clear that Chelsea had been allowed to negotiate date changes. The whole thing was succinctly summed up by Neil Allen, a local journalist following the trials and tribulations of Portsmouth. The EFL seemed to have succeeded in wrecking their own competition, alienating fans in the process. The joy experienced by the players and fans of Barnsley when they won last year’s competition (see the picture at the top of this story) looks unlikely to be replicated this year.